NO PROTOCOL is an energetic 5 piece good time Rock N Roll - Country Rock band. Delivering high quality music of 50's 60's 70's 80's and a contemporary repertoire which we give the NO PROTOCOL treatment. 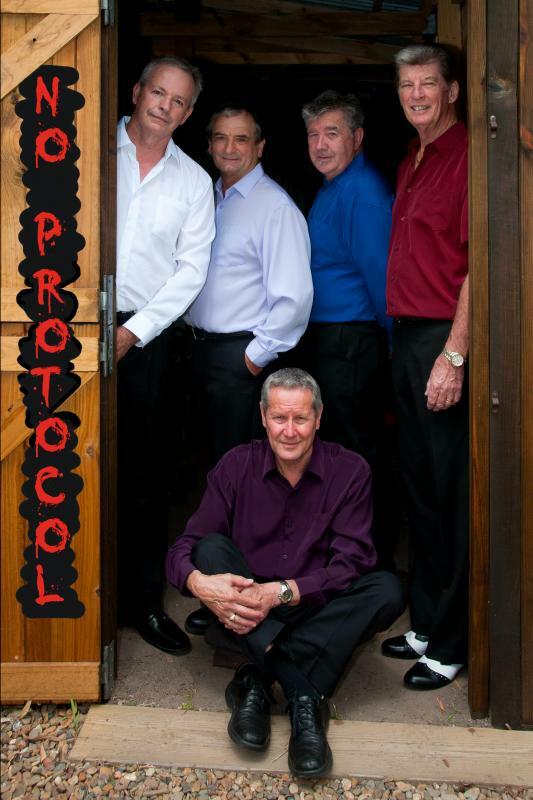 The individual Members of NO PROTOCOL have a diverse range of musical backgrounds from rock and Roll to folk, blues, and country and from several Australian States with a combined musical experience of about 150 years. 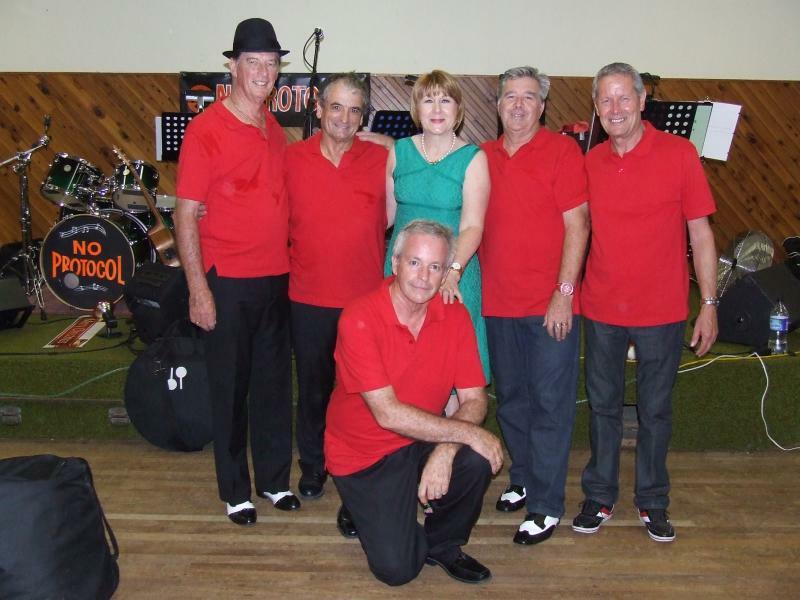 As NO PROTOCOL we have entertained patrons in a variety of locations from country halls to RSL clubrooms and everything in between.By a chance meeting of a couple of musical friends,NO PROTOCOL was formed in 2009 and quickly had a dance following of patrons. NO PROTOCOL have regularly played for rock and roll dancers some numbering up to 240 people in any one location. However, we tend to specialise in numbers of 80 - 100 in clubs and corporate venues, but we are just as comfortable in small, intimate venues as well. A fairly comprehensive range of numbers from: Eagles, Elvis Presley, Roy Orbison, Chuck Berry, Zac Brown Band, Beatles,Elton John,Stray Cats, Mavericks, Brooks and Dunn, Shakin Stevens, Eddy Rabbitt,Dave Edmund, Buddy Holly, Carl Perkins.